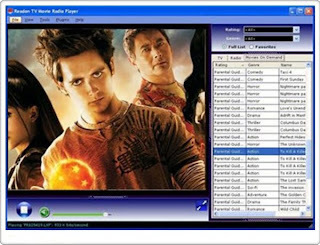 Readon TV Movie Radio Player is a revolutionary new software that allows you to watch thousands of TV channels and latest movies directly on your computer. You can also record your favorite radio and MTV songs to MP3 audio files. 1. Thousands of TV and radio channels from all around the world. 2. Watch latest movies (even those showing in the cinema now). 3. Live sports (NBA, european soccer). 4. A large variety of genres including movies, comedy, news, general TV, kids, music, pop, jazz, classic etc. 5. Record online music to MP3 audio files. 6. 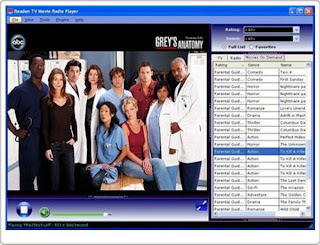 Record TV into asf fomat video files. 7. Adult videos search engine plugin(Thousands of videoss). 8. Flash games search engine plugin(Thousands of games). 10. Movie search engine plugin. 11. User password protected to disable viewing of adult content. 12. Includes all SopCast and ShoutCast Channels. 15. Auto updatable channel lists.